Our goal is to connect people with the best local experts. 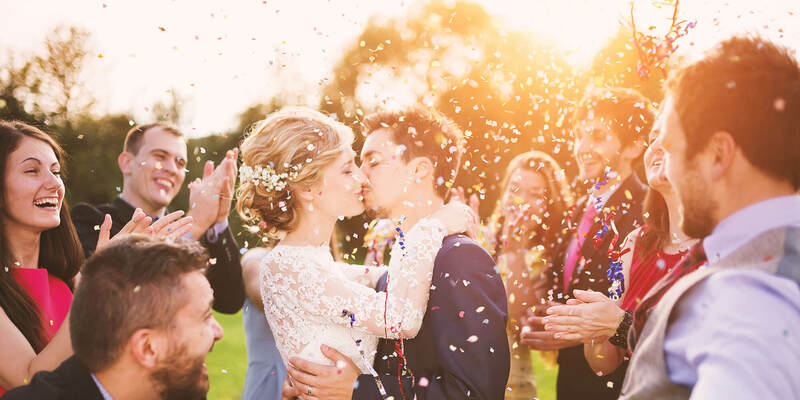 We scored wedding photographers on more than 25 variables across five categories, and analysed the results to give you a hand-picked list of the best wedding photographers in Annapolis, MD. Anna Schmidt Photography is a professional photography that is passionate about travel and capturing memories that last lifetimes. Anna provides a creative and personal approach to customers photography experience every time she uses her camera. Her camera is painter's brush, and her skill with this tool shines in all of her photographs. Anna Schmidt specializes in wedding photography, engagements, family photography, newborn photos, black and white photos, and travel photography. She is highly acclaimed and reviewed well in wedding publications for the high quality of her work. Engagements and family photography service start at $500, and she has special pricing packages for wedding photography. Barefoot Photography provides children's and family portrait photography services to clients in the Annapolis, Maryland area including Baltimore and Washington DC. Lead photographer Connie Groah specializes in lifestyle photography, contemporary portraiture, in home and on-location portrait sessions, fine art portraiture, children's portraits, family portraits, children's photography, senior portraits, infant and newborn baby portraits, baby pictures, pregnancy portraits, maternity portraits, and infant photography. She prefers on-location photo sessions, at the client’s home or in natural surroundings as the backdrop of her images, but she also does studio portraits. Connie's baby photographs have been featured in The Big Book of Babies by JC Suares. She is a member of the Professional Photographers of America and Professional Photographers of Greater Annapolis. Charles Obe Photography is located in Bowie, Maryland and offers many kinds of photography services including weddings and portraits. Charles has a degree in Media Arts and Animation and has nearly a decade’s worth of experience as a photographer and professional artists. He specializes in providing a quick turnaround time of around 1-5 days, in most cases, and promises turnaround no later than two weeks. He also offers same-day services. Clients can use his website to order prints directly. Along with weddings, engagements, and all kinds of portraiture, Charles Obe Photography also provides scenic and interior photos, including work for real estate businesses. Green Feather Photography started out in the American South West but now calls Annapolis home base. Owner and photography Karina started Green Feather with a vision; she wanted to offer a unique and personal photography experience, tailored and driven by the clients themselves. She takes the time to listen and let each client be in control. The result is beautiful, candid, unique photos that are as individual as the subjects they capture. Green Feather offers different wedding packages based on the length of photo coverage needed, which include a planning session, a free engagement session, photo editing, a wedding album, and digital files. Green Feather has a 5-star rating on The Knot and her happy clients attest to her flexibility and customer service. Hippi Soul Photography specializes in covering weddings and engagements throughout the Maryland and Washington DC area. Principal photographer Mimi Brooks strives to capture the excitement, romance, and love of couples and their families on the wedding day. Apart from weddings, Mimi also does maternity, newborn, and headshot photography. She is inspired by untouched, natural, and raw beauty and prefers on-location photo sessions. Her ultimate goal is to make all her subjects feel beautiful. Mimi offers a variety of packages to meet the clients’ unique desires and needs. The Hippi Soul Photography website features an online gallery to give potential clients clear examples of Mimi’s art style and recent works. Melissa Manzione Photography is a professional photography service provider in Maryland. A passionate and professional photographer, Melissa Manzione takes pride in her work and the way she captures the beauty of any moment in every picture she takes. She offers various photography packages depending on the event and the services needed by the client. The price for a wedding coverage starts at $3700, and engagement packages are priced at $400. As a photographer who wants to make sure that her clients are satisfied, she also provides custom packages to cater to the specific needs of her clients. With her skills and commitment to providing quality work, she also has clients abroad. Clients outside of the US can discuss the details and book an appointment. Nina K Photography is a Maryland based, portrait and wedding photographer and offers her services throughout Maryland, Washington DC, Virginia, and other surrounding areas. Nina K Photography has been featured on United With Love and The Knot and was a Bridal Readers’ Choice Finalist for 2017. Nina K Photography specializes in family photography, newborn photography, maternity photography, grandparent photography, wedding photography, and corporate events. The photography company can shoot on location within the Maryland, DC, and Virginia areas, with the newborn session being done in a client’s home or at the studio location. A pricing list can be found on the company’s website for their services. Northern Lights Photography is a husband and wife photography team specializing in weddings, engagements, and portraiture in Pasadena, Maryland. Owners Jamie and Bob Howarth take great pride in their shared passion for photography and believe that each client deserves to have a photographer that is captivated by life. Clients know them as talented and incredibly easy to work with, always creating a relaxed atmosphere to bring out the best in the resulting images. Offering affordable prices for a wide variety of service packages, they are invested in making certain that each unique client’s needs are met at the right price. In business since 2010, Tara Bandes Photography specializes in providing family, maternity, and children's portrait photography services to clients in Annapolis and the surrounding areas. Owner and photographer Tara Bandes enjoys on-location photo shoots and prefers natural light to capture her subject's unique personality and genuine moments such as the glimpse of a loving husband, a belly laughter reaction and the raw and inquisitive look of a curious child. She strives to create a fun and laid-back environment to put her clients at ease throughout the session. Tara also has a passion for photographing creative and intimate weddings. She studied at the Washington School of Photography and the Art League of Alexandria. The Annapolis Photographer is full-service photography studio that has been serving clients in Annapolis for more than ten years. Principal photographer Marcus Chacona specializes in portrait, engagement, wedding, and event photography. Marcus can also be commissioned for architecture/landscape and corporate projects, as well as for business portraits. Marcus studied photography, lighting and people skills for a decade from two of the finest artists in the field. He is noted for working with all types of people and putting them at ease, resulting in natural and genuine images. Marcus is a recipient of the WeddingWire Couples’ Choice Award for the years 2014 to 2017. Maryland Certified Professional Photographer and Master Photographer, Webster Matting Wright, Jr., with Web Photography, creates memories for brides and grooms in the Annapolis, Maryland area. In addition to weddings of all sizes, Wright photographs model portfolios, families, pets, sporting events, and real estate. With an undergraduate degree from the U.S. Naval Academy, Wright’s postgraduate photography education included work at Northwestern University, Indiana University, and Southwestern University. Chosen as Maryland Wedding Photographer of the Year and runner-up for nearly ten years, Wright was also selected to photograph the NBC Today Show Wedding in 2005, and he photographed sporting events for two Olympic games. Wendy Hickok Photography is a photography business based in Annapolis, Maryland and serving the surrounding areas. For the last ten years, Wendy Hickok has been using a blend of editorial and documentary style photography to showcase each unique story and the beauty of life in every image she takes. She specializes in wedding, engagement, and family portrait photography and is available for destination weddings worldwide. Each package includes a full gallery of professionally edited images to view online, share, and then download high-resolution images. Clients appreciate her kind, professional manner and creative vision that shows through her stunning photographs.